Just getting around to fixing the bumper on the Durango. Last year sometime, someone banged into it at Krogers and left the scene, leaving a big hole (about the size of your fist) in the back bumper facia. I first thought it would be easy to take the facia off, but after consulting the shop manual learned that to take the facia off, you have to take the rear step plate off and taking it off, destroys the clips that hold it and it has to be replaced. So I decided to just fix it in place. So I cut some screen and epoxied it inside the facia then covered it with body putty. 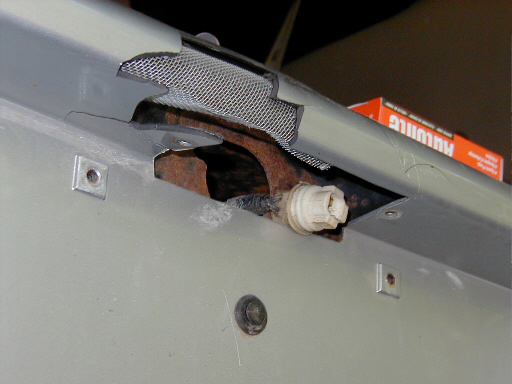 This shows the hole with the screen cut and starting to be epoxied in place. 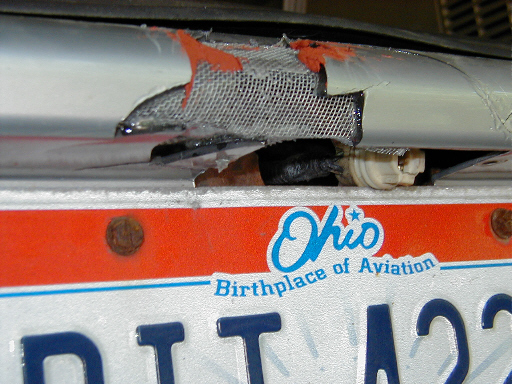 This shows the hole from the underside where the license plate light goes. 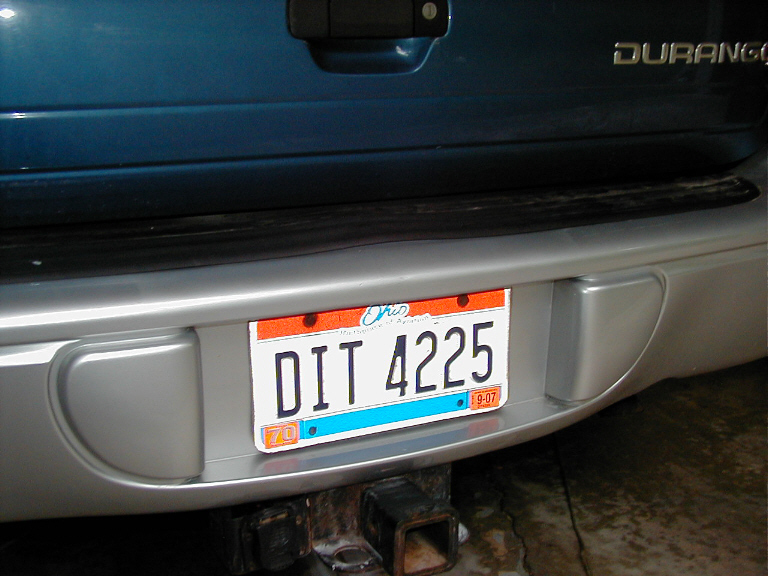 I'll have to replace the license plate light fixture. It was smashed. 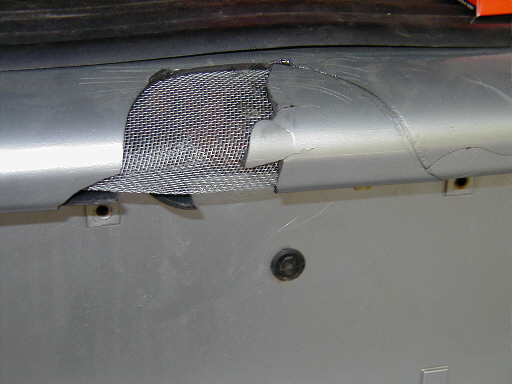 This shot shows the screen all epoxied in place, and a little bit of spot filler applied. I have about 8 tubes of this spot filler (don't remember where it came from, I'm sure I didn't buy it), so I thought I'd try to use that. It didn't work out though. Finished. It ain't perfect, but looks ok riding by on a horse.